For those not tempted by overpriced train tickets and irregular bus services, what are the options? Well here are a few money-saving tips and tricks for frugal classic motoring, from cutting fuel costs to getting the cheapest insurance possible. For those of you not already in the know, there is a great website which can compare diesel and petrol prices on forecourts in your area (www.petrolprices.com). 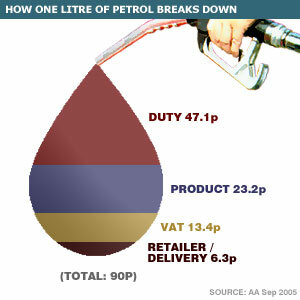 Enter your postcode and the site will find the cheapest fuel prices within a 10-mile radius. Also it is worth keeping an eye out for 24 hour unmanned petrol stations. These let you pay by card at the pump, and as they do not have to overheads of staff and a shop the fuel prices are often much lower. It is surprisingly easy to reduce your fuel consumption, avoiding sudden acceleration and braking will make the most marked difference, try to retain a steady speed. Check your tyre pressure Underinflated tyres can increase fuel consumption by up to 3%. Get rid of the excess weight. Carrying useless junk in the boot of your car costs petrol. The rule with insurance is simple: it always pays to shop around. Price comparison websites make this easier. Often classics are second cars and most insurers take this into account, add to this limited mileage and the price drops further. If the price is still too high for your liking and you don’t mind paying to make a few modifications to your car, you should think about fitting an immobiliser or battery cut off switch. These simple security devices can knock £££’s of your insurance costs and easily pay for themselves over the years.